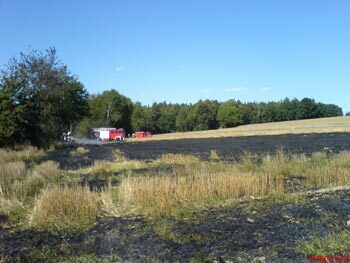 On 08/19/06 at 03:17 p m the fire departments of Bruck and Sollbach were called for a brush fire between Bruck and Sollbach. 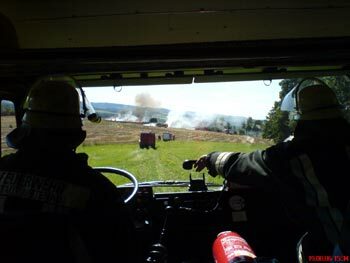 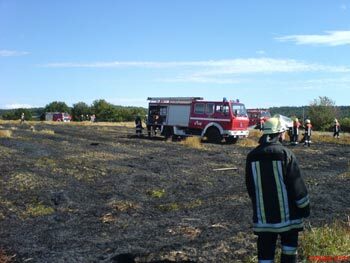 Due to the extent of the burning area to 2000 sqm and because of lack of water, the fire departments of Bodenwöhr and Nittenau were alarmed at 15:21 p m to support with pumper/tankers. 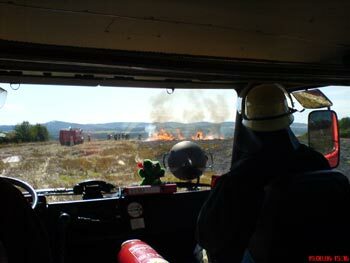 At about 4:00 p m the fire was extinguished.